Moving can be an exciting – though stressful – experience, and moving with pets presents many unique challenges. Here at LGI Homes, we understand that pets are important members in our residents’ families, and we look forward to your four-legged friends presence in our communities. These tips will help minimize the stress moving can cause on your animal companions and ensure they arrive safely at your new home. Moving with pets can be a daunting task; however, with a few handy tips, you can make the move a much easier process. #1 Minimize Their Pre-Move Stress – Unlike humans, your four-legged friends are incapable of processing what is going on while you’re moving. While you and your family view the experience as a new chapter in your lives, your pets likely just see themselves being uprooted from a place of comfort and thrust into a strange new environment. Even the process of packing and preparing can stress your companions, as they don’t understand why their favorite toys and blankets are being taken from them as you pack, and they don’t know that they will soon be reunited with them once you get to the new house. Avoid packing all of your pets familiar items at once so they have some of their favorites available to them. For example, it’s okay to pack up most of their toys or treats, but leave their bed, favorite stuffie and a bag of their favorite treats out until the last minute. On the big day, keep your pet away from the chaos and put them in a quiet room where they feel safe while you load up the moving trucks. This is especially important if you’re using a moving company, as having strange people in the home can stress your pet out even more. #2 Arrange Veterinary Care Ahead of Time – Take advantage of the the prime locales of our communities and research nearby veterinary clinics before you move. In the event your precious pet falls ill on during the move or shortly after the arrival, you’ll feeling better already knowing where you need to take her for medical attention. Call ahead and get your pet fully registered at the new office, and have your current vet forward all of your pets’ medical records over. This way, you’re new vet will be well informed about your pets’ last vaccinations, medical ailments and health history and be better prepared to care for them. #3 Update Your Pets’ Tags – Before you hop in the moving truck with your pets in tow, make sure all of them are wearing a collar with your current contact information. This includes the address of the house you’ll be moving to and preferably, your cell phone number. If your pet manages to wander off while you’re taking a break on the road or gets lost after you’ve settled in to your new home, the last thing you want is for the information on their collar to be out of date. If your pets are microchipped, make sure you update the contact information linked to their chips as well. #4 Pack a Bag Just for Your Pet – If moving to one of our communities requires more than a two hour drive from your last home, put together a bag to keep in the car with you that’s just for your pet. 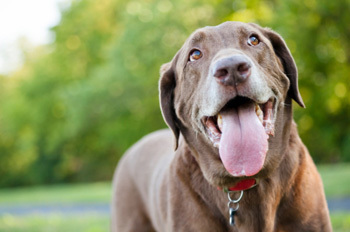 Include one of their favorite toys, some food, some treats, a blanket and a pet first-aid kit. You can use their favorite items to comfort them during the trip and the food will ensure your pet doesn’t get famished on the road. #5 Secure Your Pet in the Car – While your dog may enjoy lounging across the back seat, this is not a safe position for her to be in should you get in an accident. Purchase either a crate or a car seat with a restraint system for all of your pets to keep them secure during the ride. You can make both more comfortable by lining it with their bed or favorite blanket. The purchase of a new home requires learning all about various aspects of homeownership (financial, legal, and practical) that can be overwhelming to a first-time homebuyer and homeowner. As part of our ongoing All About series, LGI Homes seeks to provide an easy-to-read and easy-to-understand resource that goes in-depth on a variety of subjects connected to buying a home. Today, we explore the world of property tax and how it will play into your experience of buying and owning a home. 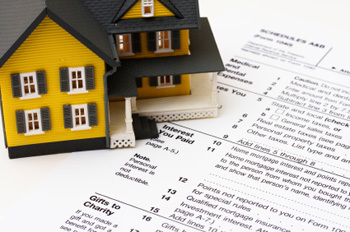 If you’re new to homeownership, you may have questions regarding paying property taxes. What is property tax? – Property tax is a tax you must pay on real estate you own. This includes your home and the land it sits on. Who collects property tax? – Property tax is collected by the local government where you live, usually at either the city or county level. How much do I have to pay in property tax? – The amount you pay is determined by the value of your home and the tax rate determined by your local government. Rates vary from one municipality to another, but generally, property tax is levied at a rate of between 0.2% and 4% of the home’s value. What does the money go to? – It’s natural as a taxpayer to wonder where your hard-earned money is going. In the case of property taxes, the money is usually used as a form of revenue to fun important public institutions and features in your community. These include public schools, parks, community centers and more. While it may be inconvenient to pay, property tax is one of the few taxes that allows you to see exactly where your money went on a daily basis. Will my property tax increase or decrease over time? – Many factors influence whether your property taxes increase or decrease. For example, any upgrades or improvements you make will increase the value of your home, thus, causing your property taxes to rise too. Government need is a huge determining factor in tax rates. If the government is currently facing no shortage of funding, the tax rate may lower, but if they need funds to finance a new project or maintain an established institution, rates may increase. When are property taxes due? – The due date for your taxes will be determined solely by your local government. Some require payment to be made during tax season in April, while others extend the deadline as far out as October. The only way to know for sure when you need to pay property tax is by calling your local government. Do I continue paying property tax once my mortgage is paid off? – Once your mortgage is paid-in-full, you will still have to pay property tax each year for as long as you continue living there. Any improvements or renovations you make will continue to influence your property tax rate, as property taxes are solely based on the value of your home and not what you owe. While our communities in Arizona and Texas rarely see snow, and winters are typically short, the season can still get a bit chilly. As the days become shorter and the temperatures fall after sundown, chances are, you’ll find yourself turning up the heat on your thermostat a few notches to stay warm, which can translate to an increase on your energy bill. Use these tips to help you cut back on your energy costs this winter. 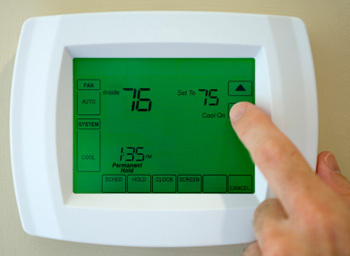 A programmable thermostat is a great way to regulate your home’s heating expense during the winter months. #1 Use a Programmable Thermostat – Few things will save you more money than a programmable thermostat. You’ll never risk forgetting to turn the heat back down with one of these, and you can control the temperature of your house at all times. As long as you don’t have pets, you can schedule the heat to remain off all day while you’re at work and kick back on shortly before you arrive home. You can also program it to only kick on when it senses the temperature in your home has fallen below where you feel most comfortable, and to turn down a few degrees at night while you’re warm in bed. According to the U.S. Department of Energy, you can save upwards of 10% off your energy costs all winter using a programmable thermostat. #2 Turn Down Your Water Temperature – While everyone loves a nice, hot shower, the cost of heating that water can easily add up throughout the season. To cut back, lower your water heater’s temperature to 120 degrees Fahrenheit. This is still plenty warm enough for a relaxing shower, but considering water can account for up to 25% of your energy bill, it can translate to big savings. #3 Inspect Your System – Make sure all parts of your heating system are in working order, and if your home is still under warranty, contact LGI Homes immediately so any issues can be resolved. Even a small malfunction can minimize your home’s energy efficiency and cause your bill to rise. Routinely have your entire system inspected professionally and address any problems that arise as soon as possible before they worsen. #4 Let Some Sun In – During the day, you can heat up the house by opening the curtains on your south-facing windows and allowing the sunlight to stream in. Once the sun goes down, close your curtains back up to trap in the heat. #5 Use LED Holiday Lights – If you enjoy going all-out with holiday light displays, choose lights with LED bulbs. These bulbs are far more energy efficient and will dramatically reduce the costs associated with holiday lighting. This goes for both lights on the outside of your home and on your Christmas tree. Consider setting your lights up on a timer so they turn on automatically after sunset and shut off automatically a few hours later. This way, you won’t forget before going to bed. DALLAS, Feb. 11, 2013 — North Texas regional plumbing company, Wilson McLain, has secured an exclusive agreement to provide residential plumbing services for hundreds of homes with The Woodlands-Texas based premier homebuilder, LGI Homes. Demand for new homes in the Dallas-Fort Worth market is at a high, with a 50% higher rate of home starts in the 4th quarter of 2012 than the same period last year. According to the Dallas Morning News (http://www.dallasnews.com/business/residential-real-estate/20130107-dallas-fort-worth-area-home-starts-spike-in-response-to-strong-sales.ece), builders started 4,549 homes in DFW, the largest fourth quarter start total in the DFW area in the past 5 years. In keeping with the surge of local new home building, LGI will build 2,000 homes across its regional subdivisions and over 400 homes in DFW in 2013 with the partnership of Wilson McLain Plumbing. Wilson McLain Plumbing will support LGI Homes throughout the residential plumbing process, roughing in and finishing out LGI Homes new communities in Sanger, Anna, Royce City and Crowley. 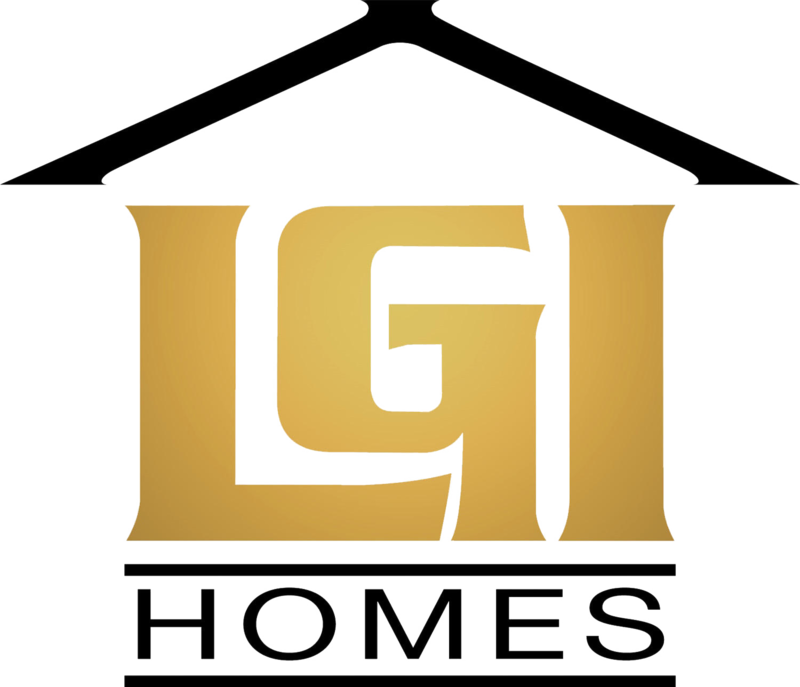 Since 2003, LGI Homes has been recognized as one of the fastest growing homebuilders in the Southwest with a dominant presence in the DFW, Houston, San Antonio and Phoenix markets. LGI Homes, coined the area’s “Affordable New Home Builder,” specializes in attractive new home communities for first-time home-buyers. LGI Homes’ signature is to create homes of top quality and value at an affordable price. Zarvou is the new owner for Wilson McLain Plumbing. Under his leadership, the 14-year-old company has experienced more than 33% growth in the past 12 months, partly fueled by similar exclusive partnerships with notable home builders such as Historymaker Homes, Sienna Homes, Clarity Homes and Hamilton Homes, among others. No stranger to the home building and home improvement industry, Zarvou has an extensive leadership background, previously serving as Director of National Services for The Home Depot, and CEO of SP Carpet Pros. The partnership between the two companies is a natural fit as Wilson McLain Plumbing excels in offering affordable, competitive pricing to homebuilders, high-quality plumbing expertise and outstanding customer service. 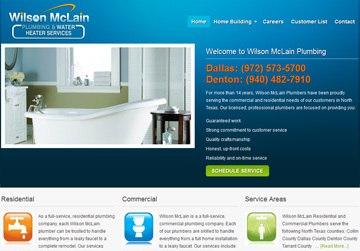 Wilson McLain Plumbing provides residential and commercial building and maintenance services to the North Texas area out of two locations, Denton and Irving. For additional information about Wilson McLain or to inquire about service, please contact them at (972) 573-5700, or visit http://www.wilsonmclain.com/.